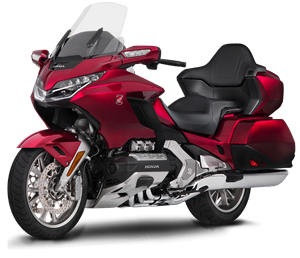 On Friday afternoon, January 26, 2018, I am going to attempt my 45th BBG ( Bun Burner Gold - 1500+ miles in less than 24 hours ) from Fort Lauderdale, FL to Bastrop, TX by way of San Antonio, TX to check out the new 2018 Honda Gold Wing. The route is 1515 miles long and mostly interstate. I am planning on starting the ride around noon time Friday and arriving before noon Saturday. It should be a good test of man and machine for BBG number 45. Honda is offering me the opportunity to be at the start of the dealer event to have an opportunity to review the new Gold Wing. 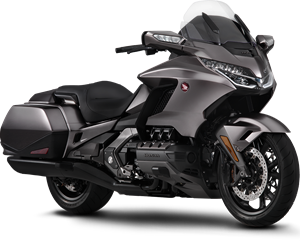 I am very interested in seeing the new Gold Wing and checking out the changes from the current model. Hopefully I will get to put a mile or so on the new Gold Wing so I can feel what the difference is and let everyone know what I think. I am very curious what the new Gold Wing has to offer including the new safety features like traction control, ride modes and electronic suspension to see how it will handle long distance riding and rallying. A friend of mine, Dan Thaler, is also going to attempt a BBG with me to Texas. This will be Dan's 16th BBG if we are successful. Our route will take us across Florida on Alligator Alley ( I-75 ) to Naples, FL and then north on I-75 to I-10. We will ride I-10 to San Antonio, TX and then take I-35 north to Austin, TX. See interactive route map below. Currently the weather looks mostly dry with a little rain towards the end of our ride with temperatures in the 50's & 60's during the day and the low 40's at night, so great riding weather. I will be staying at the Honda host hotel ( Hyatt Lost Pines ) Saturday night and riding back home Sunday. Below are interactive maps of our route, Spotwalla location and weather radar. The Google route map and the Spotwalla tracking map allow you to zoom in and out using the + and - buttons in the bottom right of the maps and you can drag the map with a mouse. You can also zoom in and out of the maps with a mouse that has a wheel. They show my planned route ( Google Maps ) and below that map is a map of my current location with the use of a SPOT satellite tracking device and Spotwalla.com ( thanks Jason Jonas ). The last map below is a national weather radar map where you can see the weather along our route. I use the following states DOT websites for traffic and construction information during our ride planning. If I see large scale construction zones I will mark them with custom POI's in my GPS's so I get alerted when I am getting close to them. This information helps me understand why traffic may be slow in those areas.